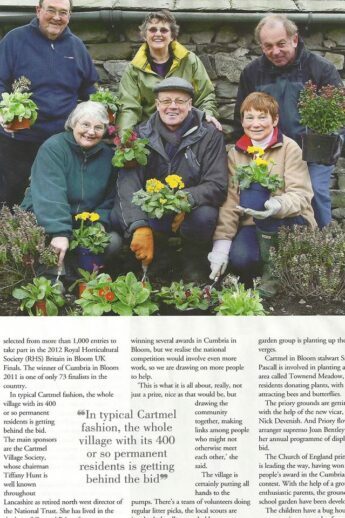 As part of entering the Britain In Bloom and Cumbria In Bloom competitions, there is an expectation on the Cartmel In Bloom Group to generate publicity on the campaigns. Here are some articles which have been written in the local press. If you have any stories or photographs related to horticulture, environment or community, we would be happy to hear from you. 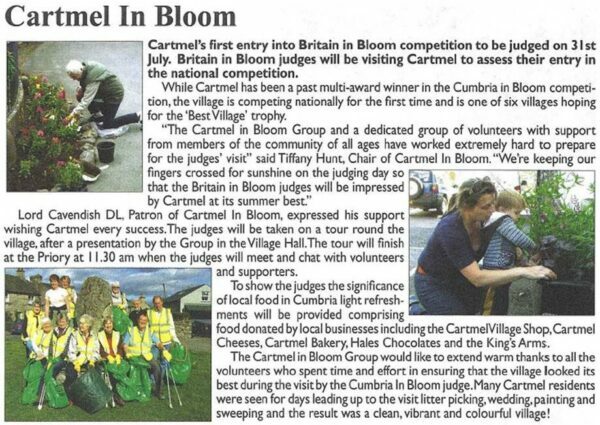 Please contact Irini on 015395 38821 or 07876 245563 or email us at cartmelinbloom@gmail.com.